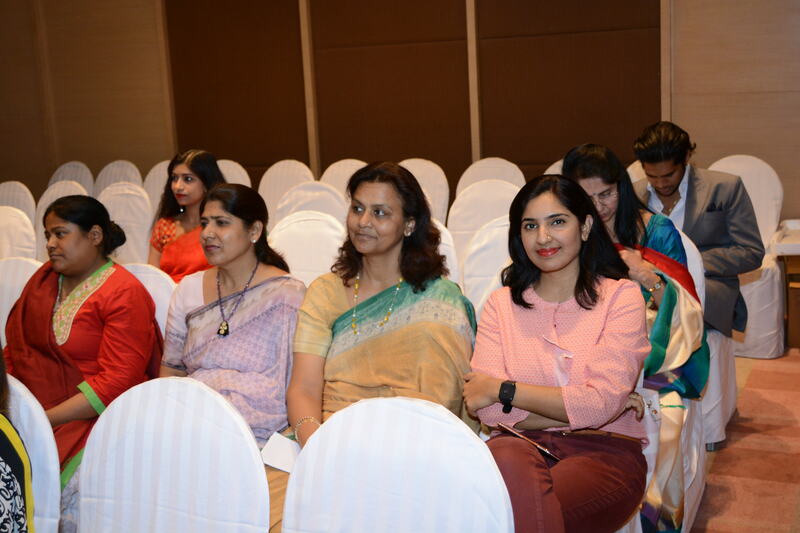 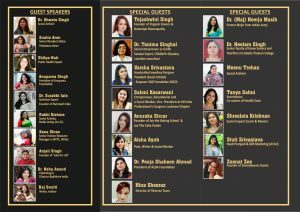 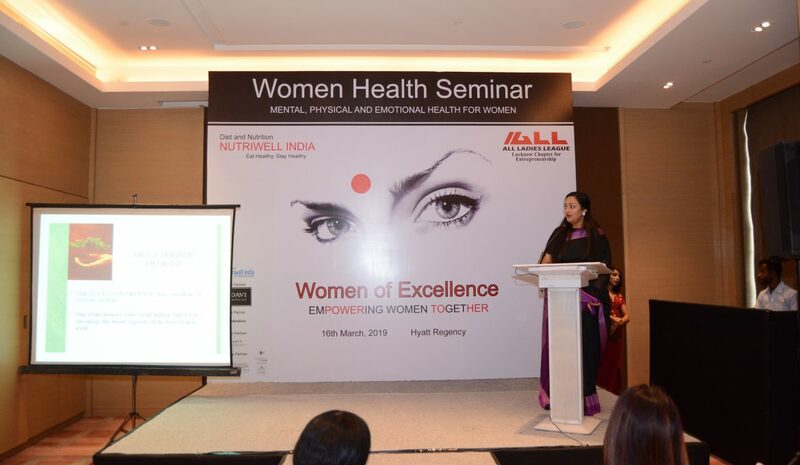 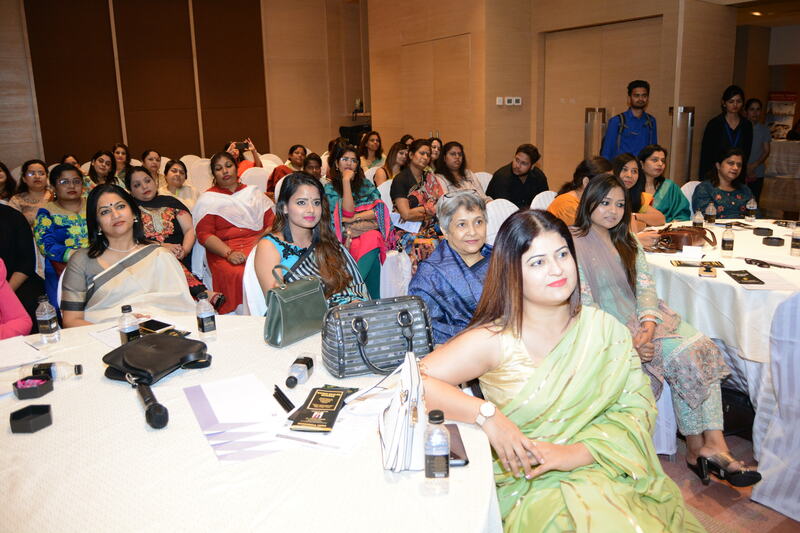 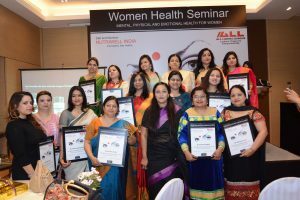 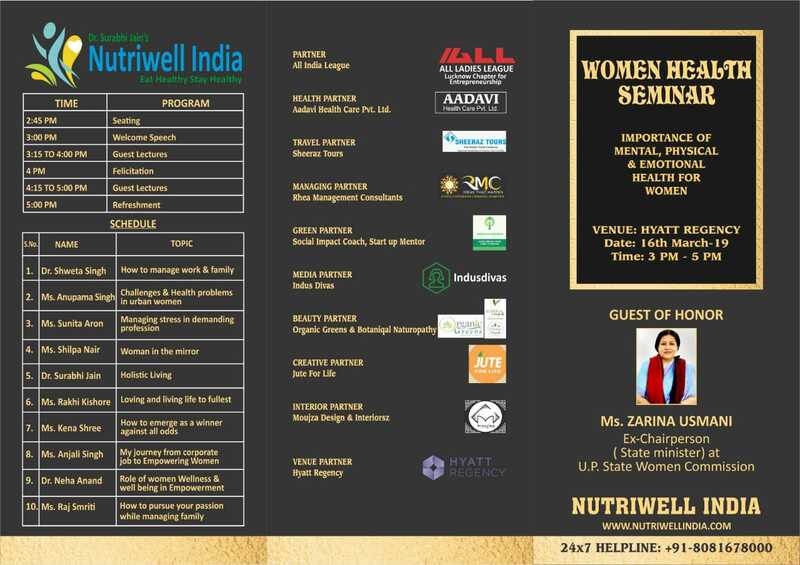 Nutriwell India ( Winner of Best diet consultancy year 2016 and year 2017 by WWLC) and All Ladies league organized a Women Health Seminar in Lucknow, which was one of its kind. 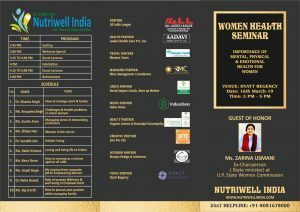 NUTRIWELL provides Diet Consultancy and Nutrition planning. Please contact at 8081678000 for more information. Many ladies from different walks of life shared their experiences. 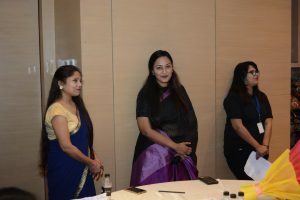 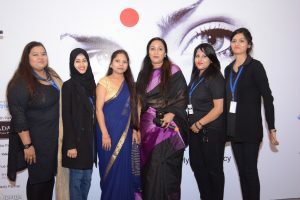 There was discussion about “IMPORTANCE OF MENTAL , PHYSICAL AND EMOTIONAL HEALTH” by dynamic woman from different field who have made their presence felt in society with their exceptional work. 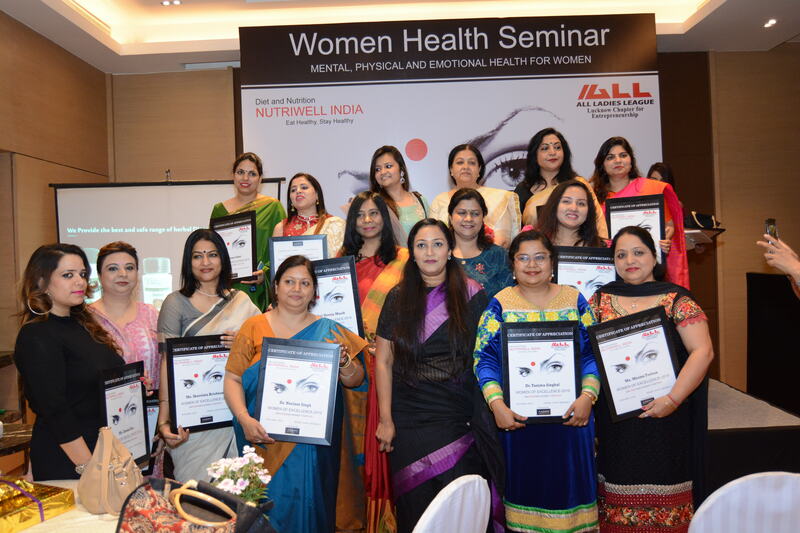 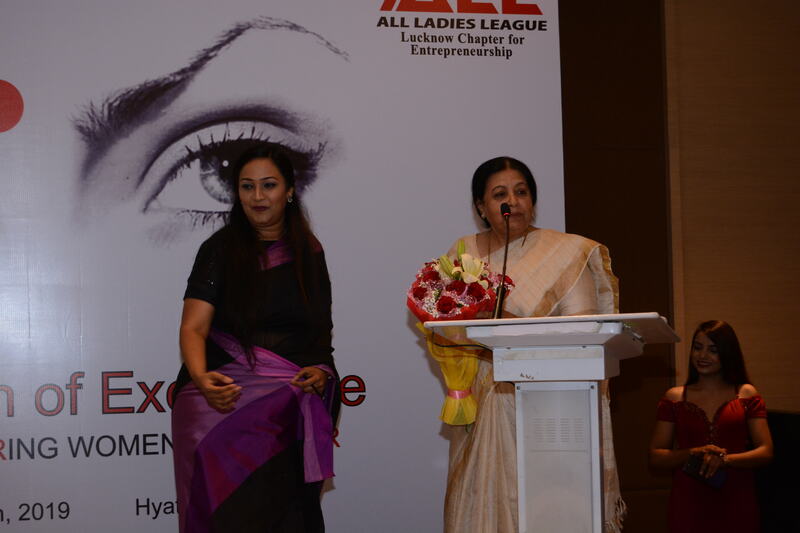 25 ladies were also felicitated who are doing exceptional work in various fields. 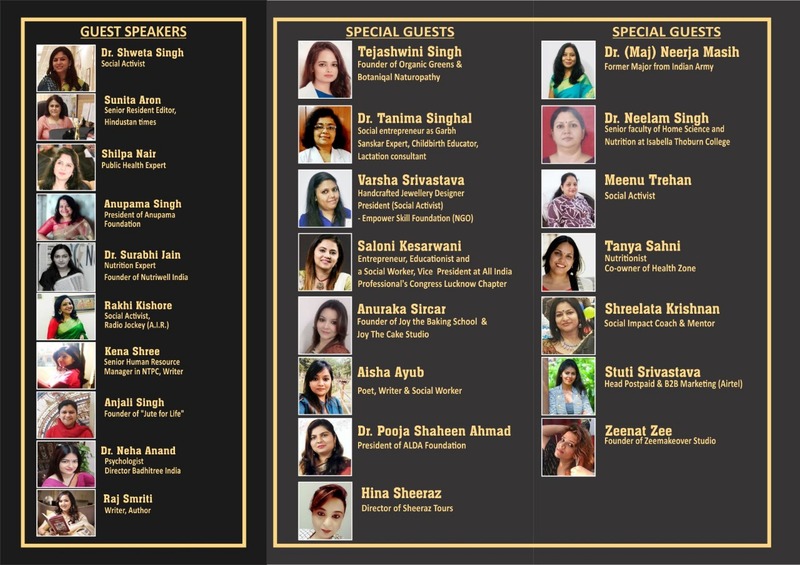 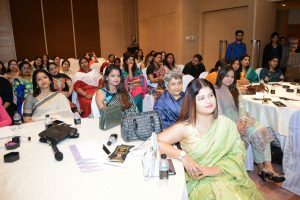 This is first time, one of its kind event in Lucknow which was attended by more than 100 ladies. Ex-Chairperson ( State minister) at U.P. State Women Commission who discussed about Problems of women. 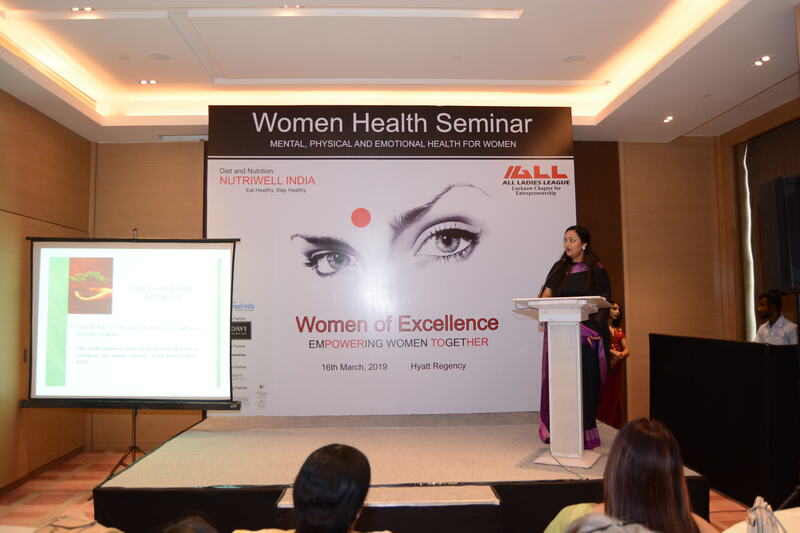 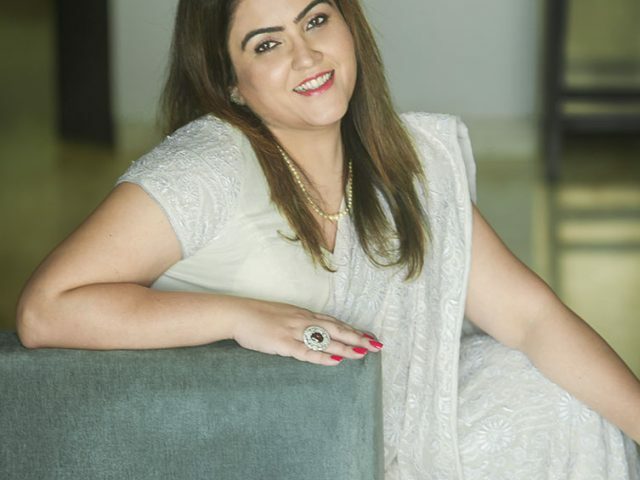 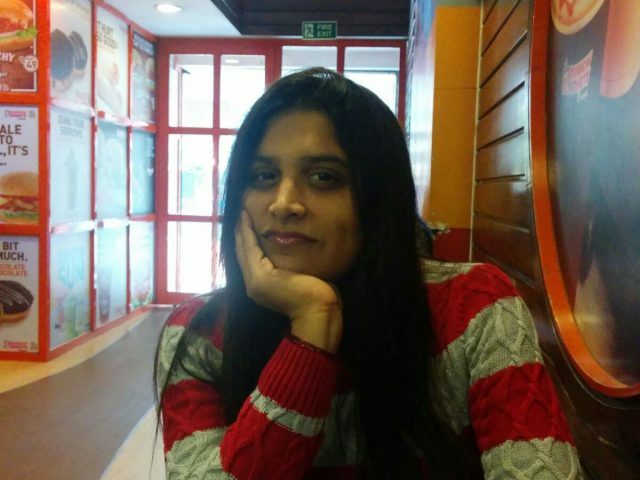 Dr Surabhi jain , Nutrition expert from Nutriwell India discussed the importance of Holistic diet. 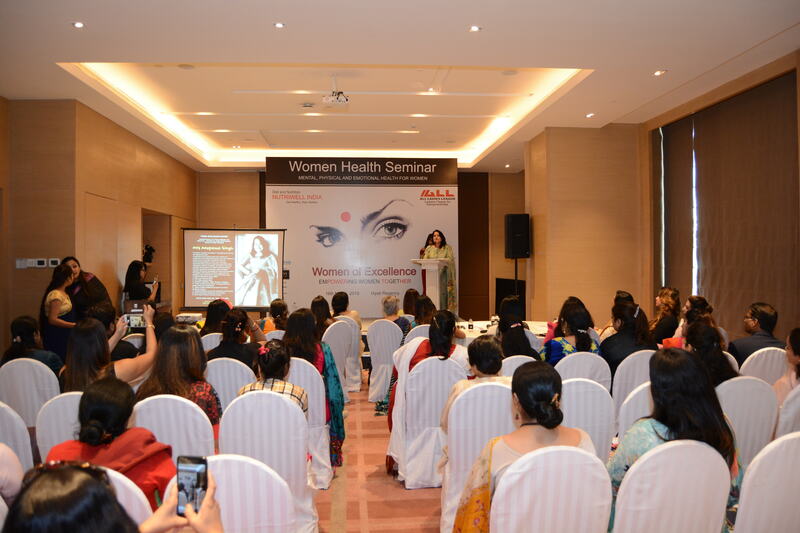 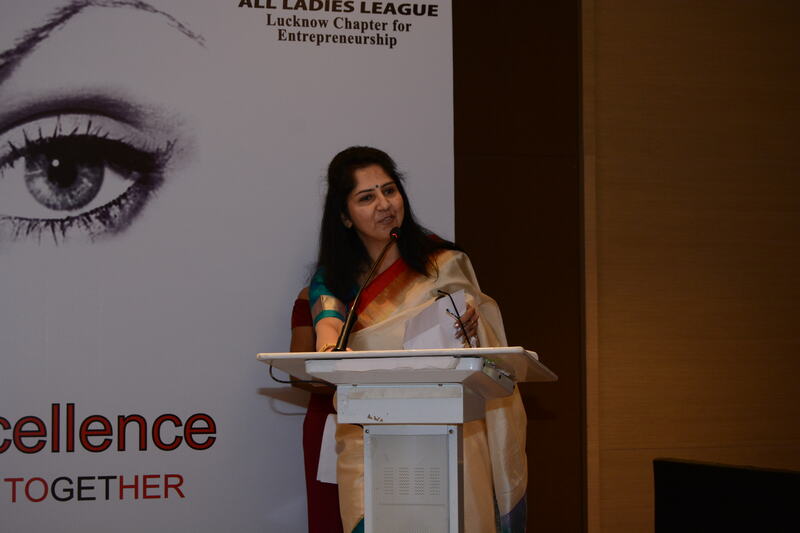 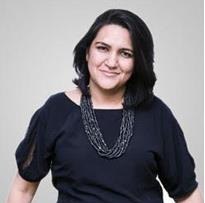 Mrs.ANUPAMA SINGH discussed about Challenges and health problems in urban women. 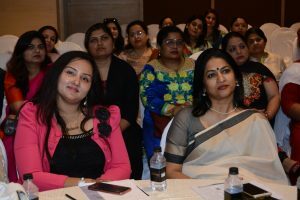 Mrs. SHILPA Nair talked about Women in the mirror and Mrs. RAKHI KISHORE share her views about Loving and living life to fullest. Team Nutriwell’s Organizing team headed by Ms. Neetu yadav, Anushi , Anvita , Palak and Mirza Yusra Beg coordinated the event.